If you're looking for the best combination of total-body fitness training and effective self-defense skills, we've got the answer at Champion Eyes in Oceanside. 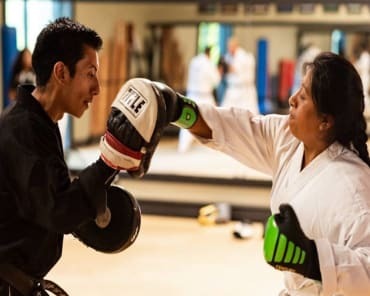 Our Adult Martial Arts classes offer men and women of all backgrounds and experience levels the chance to learn the art of Shorin Ryu karate, Suikindo (fighting system), and kobudo (weapons) - and enjoy incredible physical success at the same time! At Champion Eyes, we teach men and women with all different goals and priorities. Some want to learn self-defense and stay safe. Others have an interest in the history and technical applications of each disciple. Still, others are just looking for a great workout that is fun and beneficial. But no matter what your goals might be, we're here to help you achieve them. 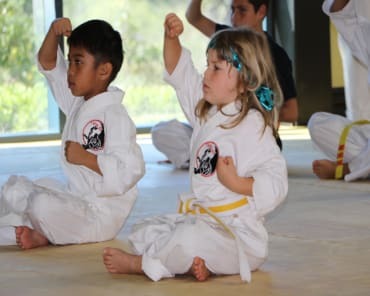 Our Adult Martial Arts classes are designed to meet the needs of everyone in our community with hands-on instruction and tailored training strategies. PLUS, we offer private and semi-private lessons if you're interested in a truly customized experience! And Did We Mention The Total-Body Workout? That's right. You can challenge your body like never before and walk away with the results to prove it. Our Adult Martial Arts classes offer high-energy training that keeps your muscles moving and your heart racing from start to finish. And as you learn new skills, you'll keep your mind motivated so that you don't even realize how hard you're working. 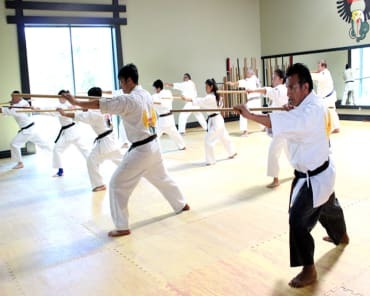 Take On Oceanside's Best Adult Martial Arts Classes Today! Don't miss out on our incredible Adult Martial Arts program at Champion Eyes. We're helping men and women of all backgrounds thrive. Join us in Oceanside today or fill out the short form on your screen to learn more!